After three days of intense videoing, the sale videos should be ready to view in a week. Austin's Northern was sooooo big--it barely fit in the squeeze chute. Kevin and Rosemary Anderson will be selling four loads of commercial bred heifers on December 18th through Superior Livestock. Kevin and Rosemary have a huge Schiefelbein influence in their herd as well as top known A.I. sires. When it comes to records and cattle they are as fussy as you get! If you are interested, call Kevin @ 308-458-8392. The heifers are located in the heart of the sand hills of Nebraska. I saw the best example in my life on how genetics can make cattle exceptional at the Keckler Ranch. It was quite a day. I saw over 100 Zeus calves at this incredible setting with the Missouri River in the back. Had a great dinner with this rowdy bunch. Fall Grazing at its Best! Robin with her marathon medal!! Her shirt read over 45-five and seven kids. She ate a 1/2 steer when that race was over. Beef It's Whats for Marathon Runners!! Schiefelbein Farms and Ulmer Cattle Company have partnered up to buy the Bales Livestock Commission Company in Huron, SD. The new name will be Huron Continental with the first sale being September 9th. Stay tuned for some exciting new marketing alternatives available for Schiefelbein bull customers. The bull sale will stay in Kimball, MN on the third Saturday in February. Earlage is a big part of our feeding operation. By using earlage instead of shell corn we get great use of the cob! I had a great time visiting with Jim Scott and his family this past week. Great Cattle great people and a cold beer--it doesn't get any better than this. Over 180 Schiefelbein bulls have been on this magnificent ranch! Genex was nice enough to let us use Schiefelbein Effective in the pasture this summer. I think I saw Frank IV cry the day he left. One of our great customers, Denny Price, not only has exceptional cattle but has some of the best horses in the country. The opportunity to buy some of these outstanding animals will be August 3, 2014. The Turkey got his Turkey! The videos for both the bulls and sale heifers should be done by the afternoon of Friday February 7. They will be easy to access right off our web page. With temperatures topping out at -19 degrees and wind chills at -40 we only had to thaw two waterers. We have always said cows have to be hardy to survive in the North. Today was a good example as our purebred cows forage through snow to eat in 20 below wind chill. Bob's boy, Austin, recently shot this 12 point buck on the farm. Good job Austion! I hope you enjoy the venision-- I will stick to eating my Certified Angus Beef ribeye! A big thank you goes out to Kirby Hufford from Morris, MN for purchasing the elite Schiefelbein embryo package which recently sold at the Minnesota state Angus sale. 1/2 the proceeds went to the Minnesota Junior Angus Association earning them a whopping $1,800. If you are a junior member be sure to thank Kirby for his support! The Entze brothers are offering an elite set of replacement heifers for sale. These 200 quality heifers come from the best of the Schiefelbein bulls. If you want to add to your herd, there will be no better spot to purchase quality heifers in volume with genetics behind them. The national cow herd is the lowest it has been since 1950 and feeder cattle are in short supply. The heifers will put you in the forefront of the market and in genetics. If you are interested in these heifers, please call Tim at 320-224-5830. We had our first Effective bull calf born. Later that same day we had our first HD bull calf born. Both look great and are up and running around. Look out 2014 Bull sale. Just got all the data crunched and entered. Now on-line are all the ultrasound measures, scrotals, and yearling weights. The data will get incorporated into the final EPDs this Friday am... so look for one more round of changes! As always, call with any questions. We spent the entire day video taping the sale bulls today. We started out the day just below zero (-2 F) and warmed up to about 6 F. We were fortunate to have the younger help to pull us through... Travis came home for the week end from Nebraska and the wrestling crew of Austin, Skyler and Payton were off this week end, ol' reliable Brandon all put in a cold day's work! Our very first calf was born today with an outside temperature well below zero. We were fortunate that Frank IV convinced everyone to bring the bred heifers home a few days early... in fact, just in time. Although the calf required warming, it is now doing fine. We have had some great people come by the farm to look at bulls recently. It is always enjoyable to catch up with Todd Sears from ABS Global. Todd really appreciated the quality bulls from top to bottom. ABS was a strong supporter last year as they bid over $30,000 in their attempt to purchase Effective. Rance Long (OK) and TJ Curtin (IL) get the "I braved the cold award" as they spent 2 plus hours going through the bulls today in single digit temperatures. Dan and Frank IV gave them a complete run-down on all the bulls... I think they appreciated their deep understanding of our more than 850 cows! We finished up clipping the sale bulls today... all 300 of them! The temperature was not too bad, around 10 F today. It is a nice feeling to get them finallly done. Pretty much the whole family gets involved. Mike's son, Brandon wins the "best helper" award among the grandkids. Now, it's on to the bred heifers. The weather here in Kimball has been absolutely frigid. Yesterday's high temperature was only -7 F. Today's high pushed up to -1 F. It is absolutely amazing to see how well all of our animals take this brutal cold. While we certainly work hard at making sure our cattle work in the feedyard and on the rail, our cattle excel the most in maternal and easy fleshing ability! They have to just to survive in our conditions... our cows receive absolutely no supplement other than hay and have no shelter other than trees! Just because our cattle do other things well, Minnesota weather assures maternal excellence. I enjoyed the opportunity to represent our farm at the National Western Stock Show in Denver. It was great to see the enthusiasm and excitement of all of those involved in the Angus breed. It was rewarding to see our genetics sell so well at the Trowbridge Family of Friends Sale... my thanks to the Phil Trowbridge family and the sales staff for inviting us to be part of such a fantastic event. By the way, the temperature was 50 and sunny in Denver. It is always nice when an entire family comes to Schiefelbein Farms and looks at the cattle together. We had Robert Johnstone and his family come by the other day to look at some females and bulls. In my opinion this is what makes rural American the backbone of our nation. Always a pleasure to talk bulls with Kenny Entze of ND. The Entze Brothers are among the very best commercial cattlemen in the country. The Entze steers have developed a reputation of being the market toppers on Superior Livestock. Kim and Kenny Entze work extremely hard at picking their herd sires... Kenny, here's the bull data you requested. It is always a pleasure to have Vern Frey with the American Angus Assn. come stop by the farm and look at our offering. We enjoyed the chance to pick Vern's mind about a variety of topics. Feel free to call Vern if you have any questions about any the animals selling. Thanks Vern for making time for us. We know you are super busy. It was a real treat to have Jon Janssen from Genex visit the farm today. His insight and candid remarks were much appreciated. 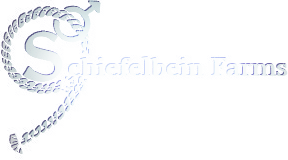 Jon and the Genex group is very excited about how Schiefelbein Effective is doing. Looks like Genex is eager to add some additional Schiefelbein genetics to the line-up. Long-time bull customer Greg Stuedemann will be selling another set of outstanding bred heifers A.I. bred to Schiefelbein Effective, the $45,000 high selling calving ease bull at the 2012 sale. They sell January 21st at Lanesboro Auction barn, Lanesboro, MN. For more information contact Greg at 952-457-7790. The cows from the Keckler Ranch listed below are now selling at Fort Pierre on January 12th instead of January 5th. I spent the afternoon visiting with Angus legend Tom Burke. There is no one in the breed more excited about Angus cattle than Tom. As we discussed pedigrees and looked at the 300 bulls selling in our sale the excitement only grew. Thanks Tom for coming! There will be an excellent opportunity to buy some 8-9 year old bred cows from the Keckler Ranch. These cows will sell at Fort Pierre on January 5th. These Angus cows have a gentle disposition and are all bred to Schiefelbein bulls. Anyone that has been to a Schiefelbein sale knows Kevin Keckler only buys the very top end bulls. The market timing and the quality is right on this deal to turn a profit. For more info call Fort Pierre Livestock. We just Gene Max tested the commercial heifers in the sale. To Gene Max test we acquired blood on each heifer so the DNA can be analyzed. The DNA will let us know the top gaining and marbling heifers and those top heifers will be sold at the sale on February 16. We have already sorted the heifers by visual appraisal. To see a video of these impressive heifers click on the females for sale on our web site. On January 15th at Stockman's Livestock Auction, Dickinson, ND. there will be 200 Schiefelbein-sired commerical bred heifers selling. These heifers originated from from some of our best bull customers that include the Keckler Ranch, Red Traversie and Jule Lamb. For more information call Dickinson Livestock at 701-225-8156. It was great to see so many friends and customers this past week. I traveled to the Certified Angus Beef office in Wooster, OH and saw first-hand the brand that help build and define today's beef industry. As well, I had the chance to meet the staff at the Am Angus Assn. as well as tour their office in St. Joseph, MO... what a great job they do! Last week was a bitter-sweet moment as I completed my term as President of the Minnesota State Cattlemen's Assn... thank you to everyone for your support over the past 2 years. Donnie and I just got back from the Applied Reproduction Strategies in Beef Cattle Conference down in Souix Falls. Dr. George Perry from SDSU was in charge of putting the conference together along with the list of speekers. George and our operation have worked very closely together in the past 5 years dealing with different synchronization protocols. I had the liberty to speek at this conference discussing how our operation is able to benefit from good reproduction practices. There was over 350 people at the event where we met industry leaders, many top notch repro. specialists, as well as tons of good cattlemen. George put on a great event and we really appreciate his efforts in the beef industry. We got all of the bulls sorted this week into their own sire groups. It's hard to tell which group should be leading off the sale from pen 1 to pen 7, they are solid. Some of the biggest sire groups this year are Final Answer, Sitz Upward, Pioneer, Connealy Impression, Chisum, Efficient and the old reliable In Focus. They've been developing excellently this year with a perfect diet of hay, silage, distillers, and earlage. This is going to be our best set of bulls we've ever raised. Keep posted for some bull data, coming soon to our website. I was at the Perham sale barn yesterday and purchased some calves from Heartland Angus. These big bodied, big framed calves top the market. I really enjoyed visiting with Matthew, John and the Honer family along with Hunter and Dan Nodsle. We are excited to announce our partnership on our premier donor Elba Lizzy 1106 with Skyler Martin of Blackhawk Cattle Co. of Oregon, IL. Our plans are to flush this powerful cow very shortly to Angus and then follow-up with a flush to a Gelbvieh bull to make some outstanding Gv Balancers. We are thrilled to be working with an elite operation like Blackhawk Cattle Co. Skyler also feeds thousands of calves on his operation in western IL. I am off to Windom, MN to speak at the cattlemen's meeting. Sklyer Martin of Oregon, IL stopped by today. It was great to see Sklyer and his wife... been too long! Sold 2/3 interest in one of our premier herd bulls today. Schiefelbein Zeus will be heading for Trowbridge Angus in Ghent, NY. Zeus is a powerful Final Answer calving ease sire out of the Elba Lizzy cow family. Zeus is a full brother to the dam of Schiefelbein Effective, the top selling $45,000 bull in last year's sale. Zeus also has two maternal brothers in our herd bulls in our pasture. His dam, Elba Lizzy 1106, is one of our premier donor cows... check her out on our web site! Phil Trowbridge is the new President of the American Angus Assn. and a great Angus breeder. We are excited about working with Phil and his family. Phil is working on expanding the Zeus partnership... I'll keep you posted. A few of our customers have some outstanding bred heifers they are selling this fall! Kevin and Rosemary Anderson of Whitman, NE have 150 bred heifers. The heifers are sired by Schiefelbein bulls and they are AI'ed and cleaned-up with Schiefelbein bulls. Tim Wasem from Halliday, ND has 200 bred heifers for sale. These heifers originated from one of the best herds in the state of ND, the Entze brothers, and are bred to Schiefelbein bulls. Either one of these groups would be a perfect way to start or improve your herd. If you are interested in the heifers give me a call at 320-224-5830. Bought the Caughey cattle today in Motley-those steers sure had a lot of stretch when we unloaded them! Also Dan was up in Albany bidding on the Symanietz cattle. Their big steers stole the show bringing over $1100 and their heifers went for replacements. Nice job Jeff! I just got home today from a busy trip to the Angus Convention in Louisville... lots of Angus enthusiasm and optimism for the future of the beef industry. Tonight, I am off to Morris, MN to speak to their local cattlemen's assn. Congratulations to Uncle Don for just being elect to the American Angus Association Board of Directors! 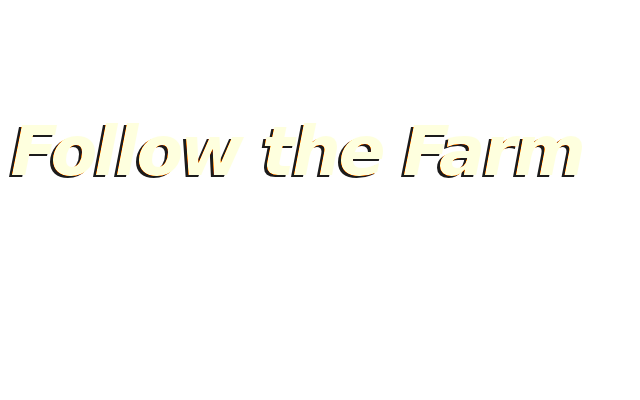 Welcome to the new "follow the farm" blog page. Many of the customers I talk to seem very interested in the day to day activities at Schiefelbein Farms. To make things a little fun and interesting we have started this blog page to inform people what's new at the farm. The bloggers, dad, all the brothers, and the two nephews, are listed to the right with their e-mail addresses. If you have a question or comments feel free to e-mail or call any one of us. Thank for your continued business and I hope you enjoy this blog! Frank Schiefelbein Jr. Founder of Schiefelbein Farms Frank still buys many of the feeder cattle at sale barn or takes delivery on the ranch. In the summer you will find him on his motorized wheel chair, our John Deere self propelled hay cutter. A book could be written on Frank’s accomplishments and influences on Schiefelbein Farms; just catch him at a sale and he would love to tell you. Frank Schiefelbein III The oldest of the Schiefelbein brothers and a graduate from Kansas State, Frank bred over 1000 head of our purebred Angus cattle. You can pick him out because his right arm is twice the size as his left arm. Frank also manages our 2500 head capacity feedlot slat barn. Rick is a former Iowa State Cyclone wrestler that is in charge of buying all machinery, fuel , etc. He also manages the herd health on all purebred cattle. Bob, a Michigan State graduate, is the day to day operations manager. Any farmer or rancher knows how crazy a day can get on a ranch or farm. Bob is always looking for ways to do things more efficient. Tom, an NDSS graduate, is the builder of the farm. Any gate, latch or pen at our farm was built and designed by Tom. If he is not in his shop welding or fixing machinery he is hauling feed in his KW. Don A graduate of Texas A&M, Don is the CEO of Schiefelbein Farms. Don manages all of the finances and promotion for Schiefelbein Farms. He is the past president of the Minnesota Cattlemen’s Association and represents the farm at all the national Angus events. He also handles all purebred customers and does long range planning for the farm. Tim Another graduate of Texas A&M, Tim works very closely with our commercial bull customers. His ultimate goal: to make our customers money! He also manages all the futures of Schiefelbein Farms and consults for American Foods Group, the largest packer for non fed beef. Dan is the youngest of the nine brothers and a graduate of Colorado State University. From the influences of the late Dr. Bob Taylor, Danny is in charge of the Angus breeding program. His balanced trait approach for selection has made Schiefelbein Farms' bull line-up the most consistent in the country. Sam Another Generation II Schiefelbein, Sam uses his mechanic degree to assist Tom in the shop. He also feeds all the feeder cattle every single day. Copyright (c) 2012 SchiefelbeinFarms.com. All rights reserved. Site Designed and Maintained by The Schiefelbein Family. CSS by FCT.